You go clean that make up brush but remember it's going to be soaking wet and you can't blow-dry it! Or you solve your problem instantly and use Shadow Switch and you've got a clean brush to use again... straight away! So I was lucky enough to be sent this product by Beauty Essentials and it has really intrigued me. A dry brush cleaner? That is interesting right? I can't begin to tell you how many times the above has happened to me and if you are like me and you have a certain few that are your absolute favourite brushes to use then the above does tend to happen right? 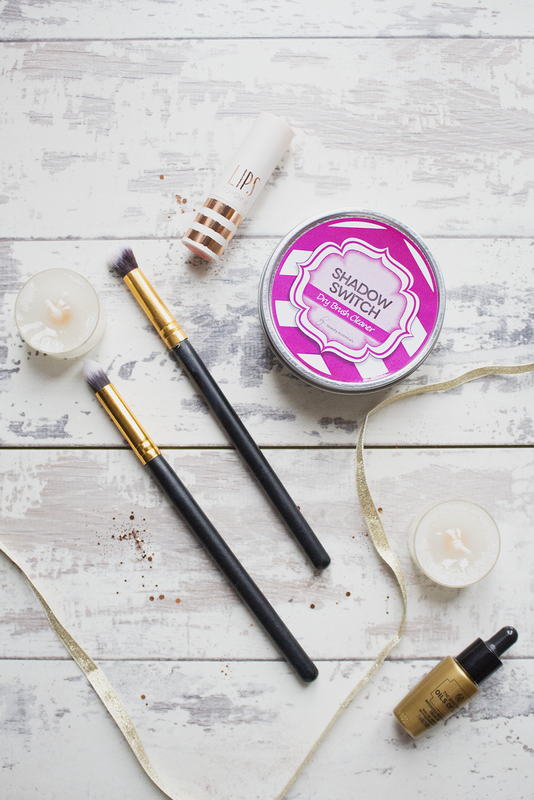 So the product itself comes in a tin with a rough sponge and it is so easy, all you do is swirl your brush around in the sponge and you can go straight into another eyeshadow like that. The sponge eliminates any product that was on the brush so it doesn't transfer and you do not have the worry of the different shadows merging together. I have used this with various shades, especially ones rich in reds, purples as they can be the hardest to remove and the sponge does wonders! You can purchase this from Amazon here for only £5.99 which I think is a great price for such a useful product.